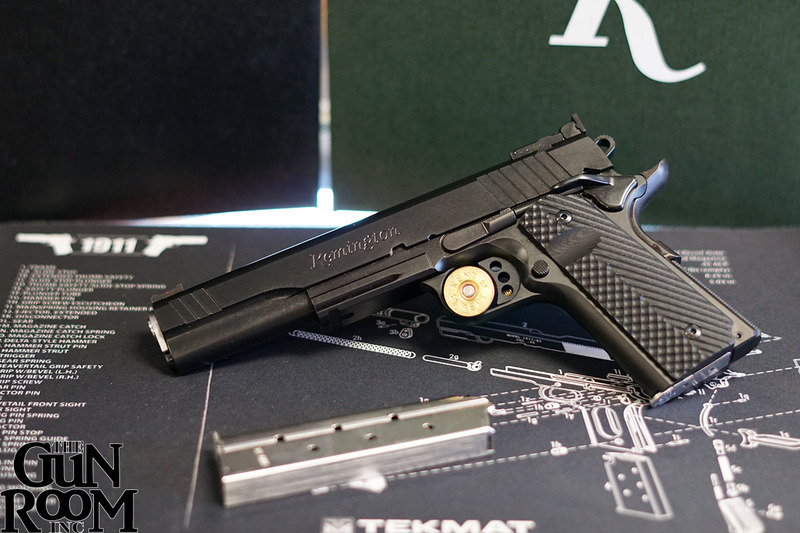 Milo’s Picks – Page 2 – The Gun Room Inc. If it’s one thing I hear myself saying more than not while at a gun store it’s I like the cowboy stuff. Call it what you will but I grew up on western movies and the guns they used always have had an appeal to me. A tactical pistol to me is a Schofield, and an assault rifle has a lever and a tube magazine. Before the plastic guns and stamped out metal and MIM manufacturing craftsmen worked their trade by hand with iron and wood. The time it took to fabricate a mechanism without modern tools and ovens meant this was more an art than a trade. Gunmakers in the 1800’s changed the world as we knew it then and helped forge the time we live in now. Metallurgy really wasn’t a thing taught in schools it was learned by master to apprentice for centuries adding to the skillset and knowledge base going forward one generation at a time. Take this example of a Colt pistol, it was one of the first one hundred sent to the U.S. and it marked a quantum leap forward in production of working art. 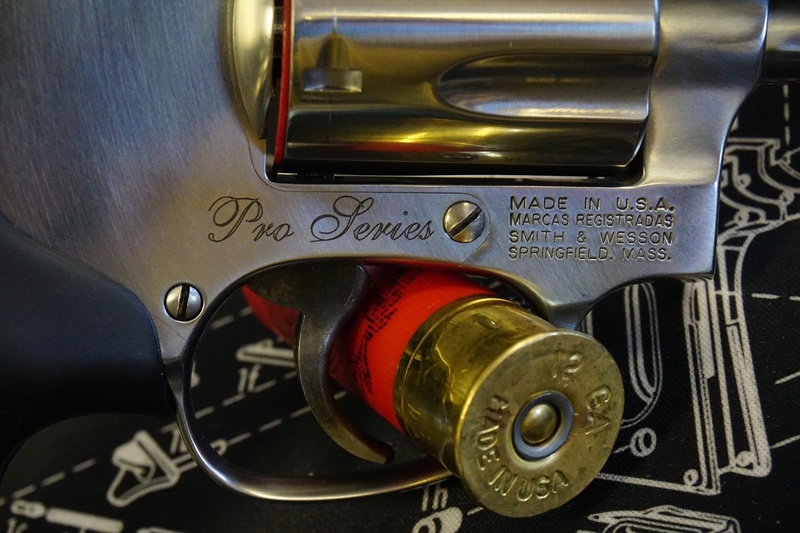 Do the notches on the barrel tell part of it’s tale? 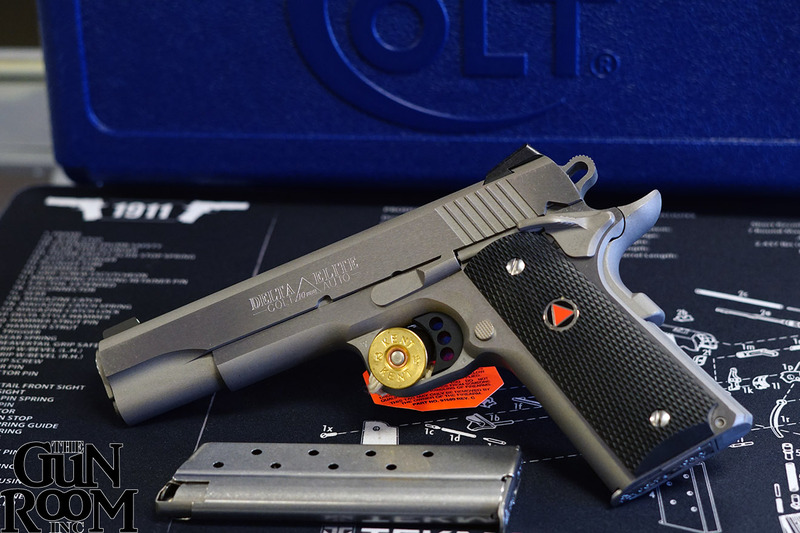 How many battles did this old Colt see? I’ve always been partial to lever guns and it’s really hard not to be. While the revolver put power right into your hand it was limited to close combat and lacked accuracy at any distance. The lever guns had longer barrels and that meant higher pressures and better accuracy even if chambered in the same round as the pistol. This enabled better fighting distances and advantage over pistols, arrows, sticks and stones. Lever guns harvested game, killed the bad guys, and provided endless hours of entertainment whilst out on the range. The TV shows I watched had cowboys who could shoot faster, better and farther than anyone else with a good rifle and a handful of lead. Buffalo Bill’s Wild West Show was the entertainment medium of the 1800’s day featuring harrowing tales of the Wild West. Actors who were more often than not real cowboys, Indians and gunslingers alike took to the field to tell the stories that became legend to throngs. Conchos and rawhide added to the spectacle but what the people really came to see was the riders and the guns. If you were lucky you were able to see Annie Oakley or Buffalo Bill himself shoot guns like this one during the show. Getting down to brass tacks can mean getting to the heart of a thing, it could mean putting the final touches on a coffin or simply a way to affix leather to wood. One thing I know for certain a number of guns display the afore-mentioned “brass tack” on the Buffalo Bill Winchester rifle above such as this coach gun below. We’re getting down to brass tacks indeed! Yes the cowboy was a lot of things to a lot of people, consider the 101 Ranch Rifle in the next series of photos. The 101 Ranch was a lot of things and it was in grand ole style too! Consider the 101,000 acre ranch it’s self with livestock, orchards, general stores, cowboys, Indians, etc., and you begin to see what was going on in the 1800’s. The need for entertainment meant that the 101 Ranch and Buffalo Bill would come together with Apache Indian Geronimo shooting buffalo from a car, as the entertainment business took the proverbial spotlight. If the Millers would have known that they were helping to bring film to life and their inevitable downfall as a result they wouldn’t have had to auction off the property and the items collected over the years when the ranch floundered. Now all that remains of the world famous 101 Ranch is a picnic area and historic landmark in Ponca City. This original three gun set is about as cowboy as it gets and The Gun Room Inc. has it. Three gun events are the next thing in competitive shooting and a heck of a lot of fun I’m told. I’d like to give it a whirl myself with these guns! The Browning Winchester 1886 is my go to gun and I have a pretty nice one I probably shouldn’t shoot but, why not? To me the old Winchester really shines as a star in the firearms world. Imagine shooting silver bullets or hot lead the 1886 would kill anything on the planet and made man the king of all he surveyed. The Winchester 1895 (that’s right I said 1895 not 1894) below is a bit modern for my tastes but it is a gorgeous gun I’d be lucky to have. This old girl is rare and in excellent condition but hey I’m taking gun pictures at The Gun Room Inc. and they broke these last two for me because they know my style! It’s always nice to be treated with cool stuff when you go into a gun store! 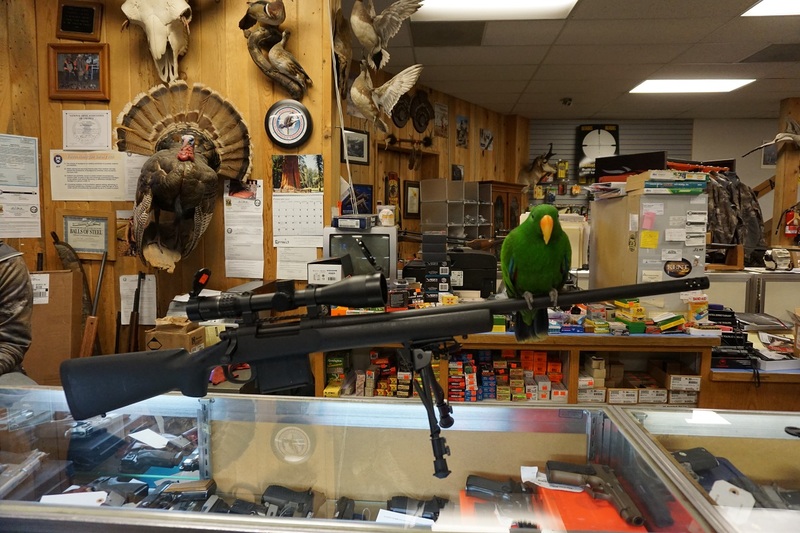 When you go to a real gun shop where the world doesn’t revolve around selling mass quantities of the same pablum like you get at anti-septic big box stores the shop and the customer have time to interact. Sitting around a campfire casting bullets and interacting with one another was what was done on the range. The original three gun bull session over a pot of cowboy coffee compares to where the now ubiquitous online review got its roots. The original network, human interaction and exchange of ideas. I surely miss the spam free days before cell phones and the internet under the stars by the fire dreaming cowboy dreams. 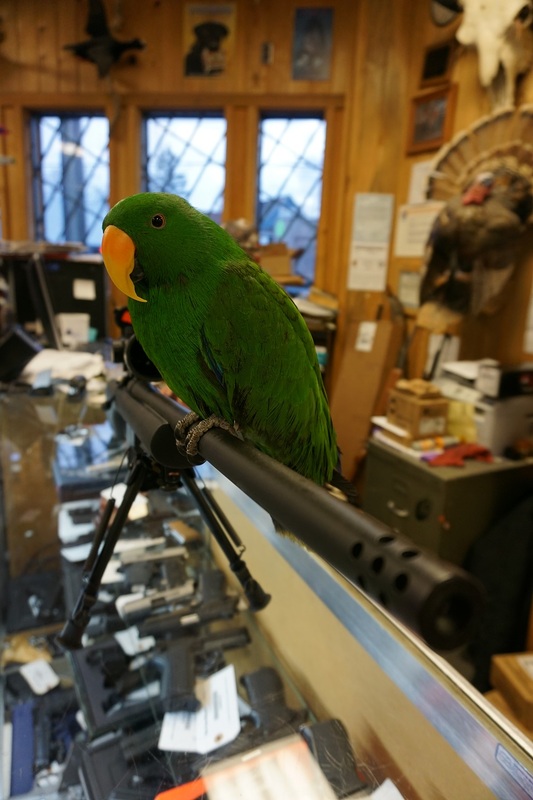 This whole last week Milo took some time off to get in a bit of quality range time with the Smith & Wesson 640-1 Pro Series. 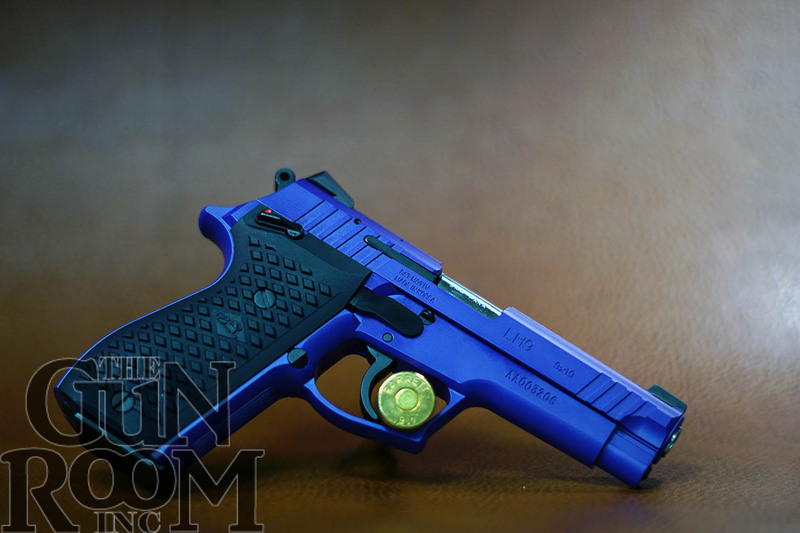 What can Milo say but “Pretty Bird” he absolutely loves this pistol, this work of Smith & Wesson’s Performance Center high art. Milo loves that it shoots +P ammo non-stop, and with the cut out cylinder Milo uses moon clips for his quick tactical (or tacticlaw in Milo’s case) reloads. 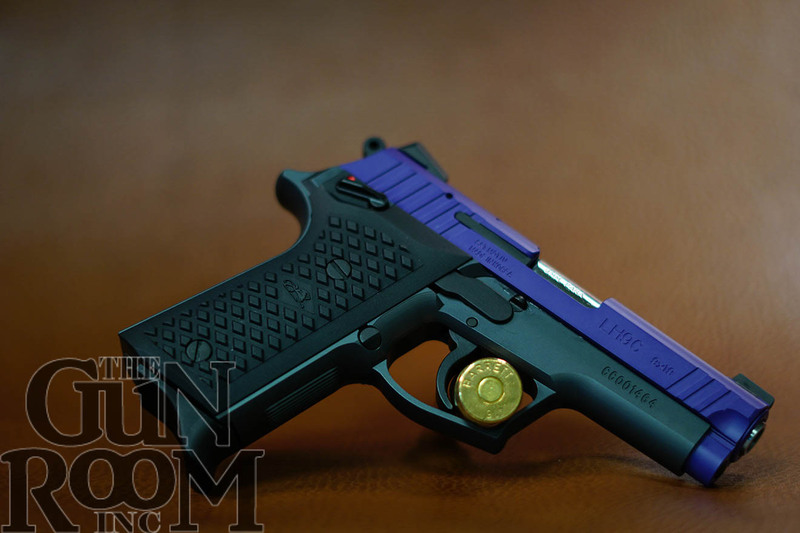 The Smith & Wesson Performance Center 640-1 Pro Series is meant for easy carry, easy concealment, and easy target acquisition due to the Trijicon night sights Smith & Wesson saw fit to include. I’m not sure Milo’ even ate any crackers or peanuts this whole last week. Milo and Mike have been at it for days and they both have this pistol. 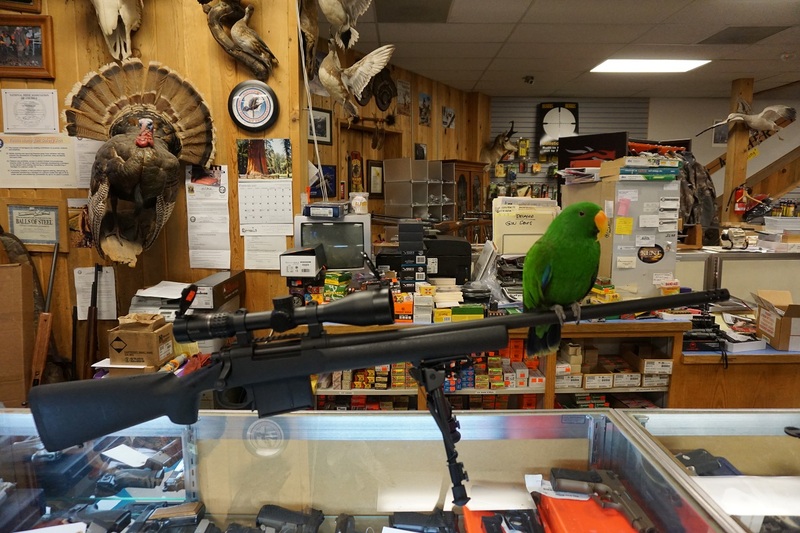 If you are more of a sparrow than a parrot and don’t want to shoot full house .357cal you can also shoot .38 special which greatly reduces felt recoil and knocks the edges off some of the bark. In 1995, Smith & Wesson introduced the Model 640, the first J frame revolver chambered in the powerful .357 Magnum round. 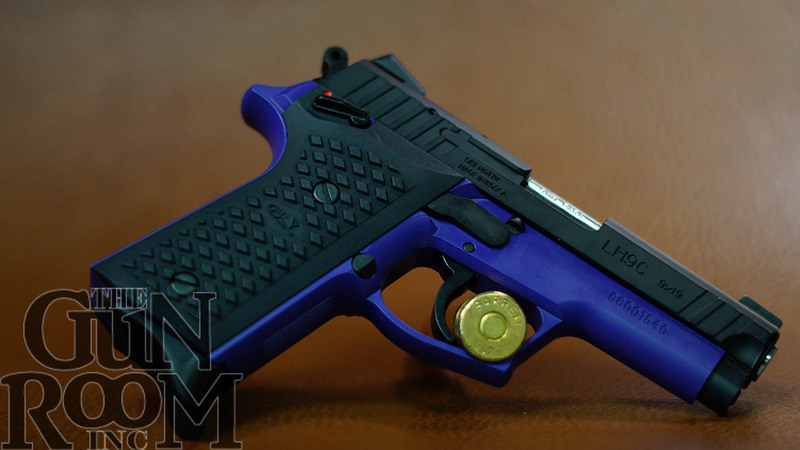 Based on Model 40 Centennial, the Model 640 is a small frame concealed hammer revolver that packs a full-sized punch. The Model 640 Pro Series integrates the time-tested features of the original with modern advancements and competition specifications and features. 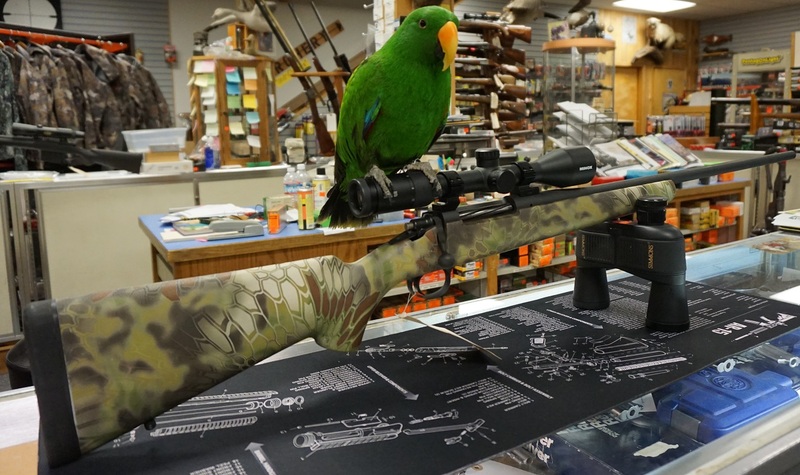 This week Milo has taken a liking to the Forbes M24B Rifle wearing Kryptek camo on the stock. 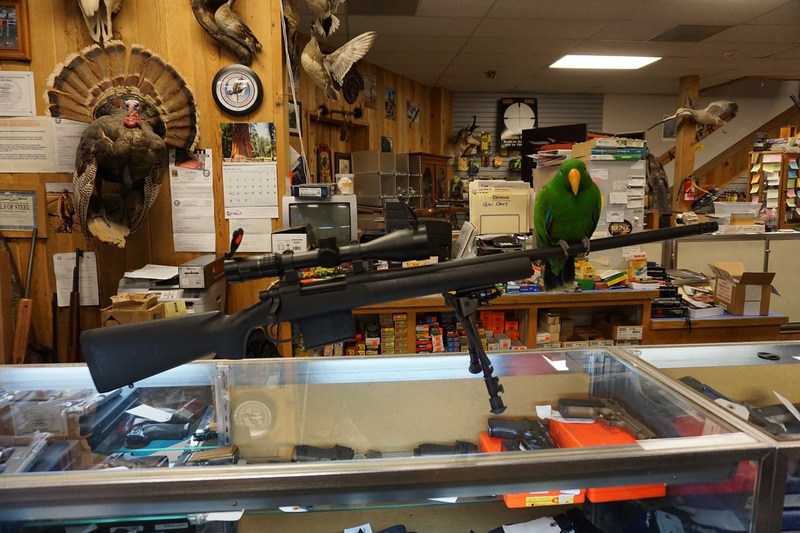 Milo likes this rifle for hunting in the mountains since it’s light and accurate and chambered in the calibers he likes to shoot. The Forbes M24B comes equipped with Talley scope rings that allow the shooter to attach their quality optic of choice for high precision shoots when the mountain critters have the advantage. Milo likes the non-reflecting barrels that absorb light instead of reflecting it like other lesser blued rifles do. Milo’s approach is simple, when you draw a once in a lifetime tag you should do everything in your power to fill it. The Forbes M24B is a force multiplier, it’s extremely light materials and better than most engineering make this rifle one to look for if you are in the high country or even out in the plains. 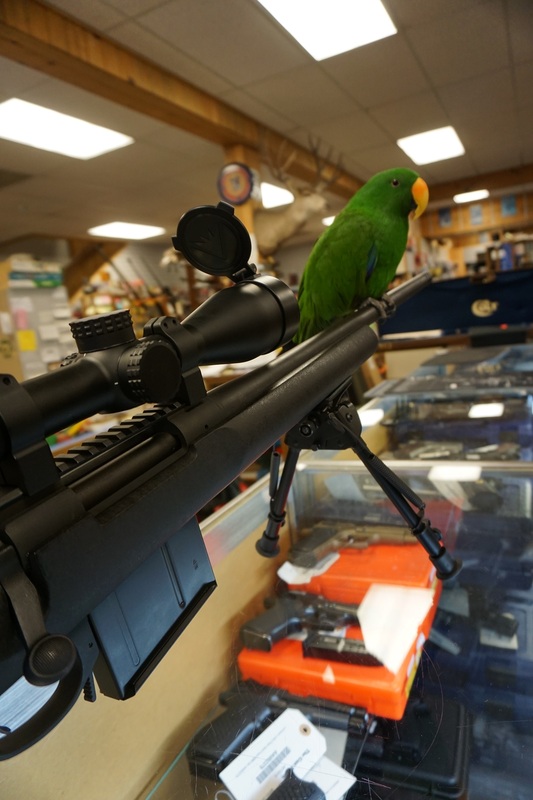 We always hear Milo chanting “ounces equal pounds, and pounds equal pain” and Milo would know since some of the world’s best hunters come through The Gun Room Inc’s doors. 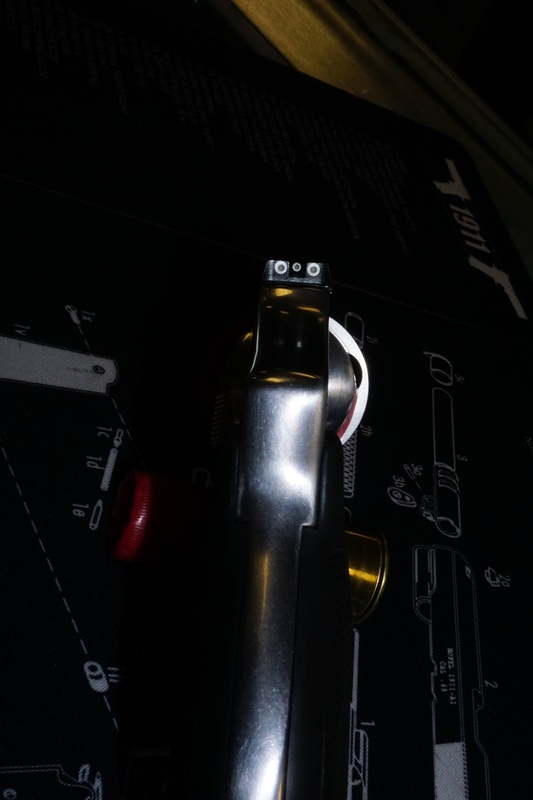 All Forbes Rifles come fitted with recoil pads and sling points as standard. 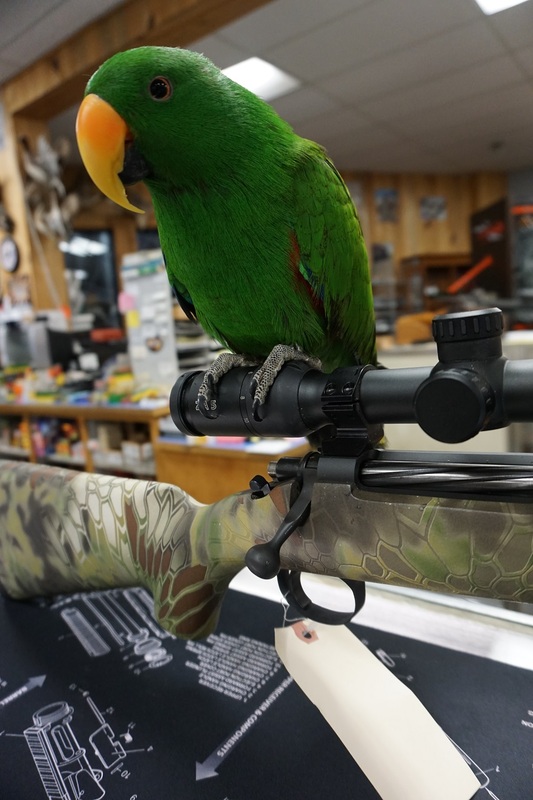 Milo is so wound up about the Forbes M24B right now that he says if you come get one in the Kryptek Highlander or the Typhon camo patterns he’ll throw in a matching Kryptek Gun Room Inc. hat for free. The Forbes M24B is no longer in production but as per usual The Gun Room Inc. has them while the supply lasts in .270, 6.5×55, and 30-06. No one made a rifle in this weight category as good as Melvin Forbes and they continue to be the best lightweight gun available today. 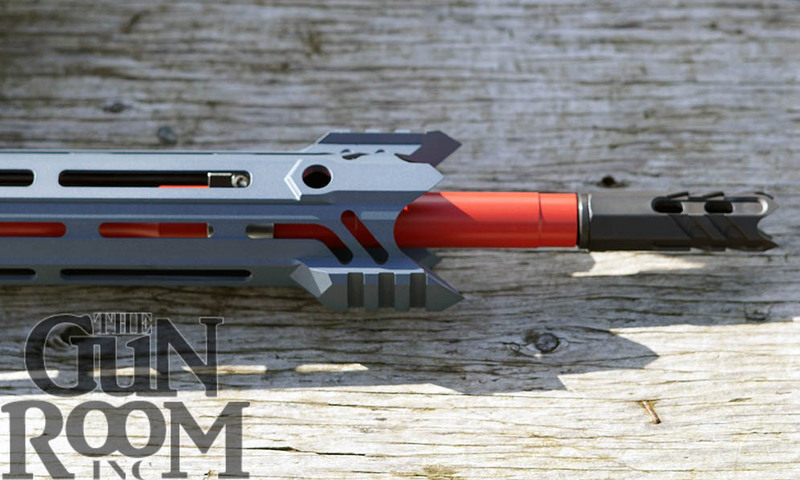 Call The Gun Room Inc. today and get the rifle of your dreams before next season.